Kristen Pham received the Hutchinson Central Technical High School Access Scholarship, which is managed by the UB Foundation. 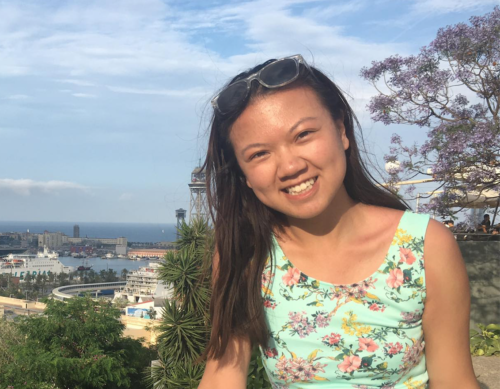 When we caught up with University at Buffalo student Kristen Pham, she was packing for a study abroad program in Troyes, France, where engineering students have the opportunity to take courses in subjects such as statics and world civilization. Learning about French intercultural communication, politics and economics isn’t a typical step for engineering majors like Kristen. But this Buffalo Public School graduate — who comes from a low-income, immigrant family — attributes her exciting academic trajectory to the Hutchinson Central Technical High School Access Scholarship she earned as a new freshman recruit. The scholarship — which provides a one-time benefit of $2,500 — was established by Dr. Edward Kikta and is administered by UB’s College of Arts and Sciences. By offsetting a substantial amount of her educational costs, the scholarship affords Kristen the opportunity to live on campus and to take advantage of this experience abroad early in her academic career. 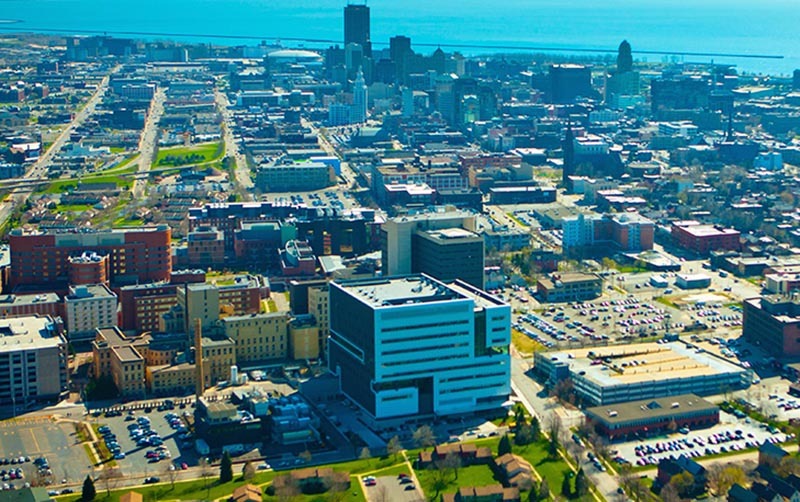 The UB Foundation plays a key role in ensuring that the university has the resources needed to attract top students, while also managing scholarships in accordance with each donor’s intentions. Kristen doesn’t speak French, but she had the opportunity to boldly explore the Champagne region’s cultural treasures and France’s textile capital while enjoying the Université de Technologie de Troyes’ modern campus. UB was her first choice for college from an early age. She had always excelled in school and had set her sights on a research career in chemistry. During high school, she participated in UB’s Interdisciplinary Science and Engineering Partnership, working with faculty and graduate students in a chemistry laboratory. The level of faculty engagement she experienced impressed her, and she was enticed by the comparative affordability of UB. At the same time, the commuting experience during her internship made her determined to live on campus, despite the additional expense. She was convinced that the level of involvement and success she was seeking would require the residential experience. While applying to UB, a UB student researcher in biological sciences told her about the scholarship opportunity through the College of Arts and Sciences. When she was selected, she reflected again on the supportive academic community that she learned includes alumni as well. Through aid, work-study, scholarships and loans, Kristen pieced together the finances for her first year at UB, and she has already seen how her struggles can be transformed into positive direction. Her challenges were similar to what many new undergraduates face, including new levels of academic rigor and uncertainty about her direction. In her case, being able to live with other academically minded students because of the additional scholarship helped her bring up her grades. As a residential student, she also found time for on-campus tutoring and advisement. An engineering seminar course that required group projects addressing real-life issues honed her academic direction. She changed her major from chemistry to industrial and systems engineering, and her enthusiasm and competence resulted in an undergraduate student leadership position, assisting a Teaching Assistant. This opportunity requires mentoring freshmen who are exploring engineering as a major, and Kristen is looking forward to that new role and additional contact with teaching faculty. Faculty members and graduate students she has met have provided encouragement all along her path. Kristen explained that UB’s commitment to the Buffalo-Niagara region is one reason why she chose to attend, and she is committed to carrying on that tradition. She has already visited her high school to talk with students who may have cultural or financial barriers to educational success, and to encourage them with her story and tips. Her newly found interests in operations research, supply chains and human factors have broadened her focus, and she is exploring volunteer and undergraduate research opportunities with vigor. In high school, she thought engineers just built buildings — but this summer she will be involved with Tinker, an engineering camp for high school girls, founded by UB female engineering students to “expose them to every type of engineering.” She plans to shadow UB industrial engineering students working for a professor involved in research at Praxair. In addition to the value of research project exposure as an undergraduate, one lesson Kristen is already passing on is that campus scholarships not only reduce financial pressure but can also be a catalyst for achieving more than a student may have ever imagined. Dr. Edward Kikta, a retired chemist, established this scholarship in order to strengthen ties between two of his alma maters — UB and Hutchinson Central Technical High School — and to provide additional opportunities for fellow Hutch Tech alumni during their time at UB. Dr. Kikta, one of the original members of the Dean’s Advisory Council for the College of Arts and Sciences at UB, earned both his bachelor’s and doctorate degrees in chemistry from UB, and was a research fellow at FMC Corporation before retiring in 2015.